Canada Golf Towel. The luxurious feel and performance of terry velour to clean clubs and keep your hands dry on the course. 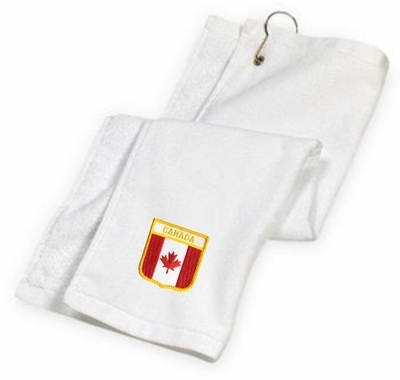 Remember� you found the Canada Golf Towel at TShirtHub.com, where high quality came at a low price.